People are now watching 100 million hours of video content on Facebook on a daily basis while 10 billion videos are viewed daily on Snapchat. These figures are mostly due to using video content for marketing purposes. We can’t deny the fact that video marketing is the new trend in business. 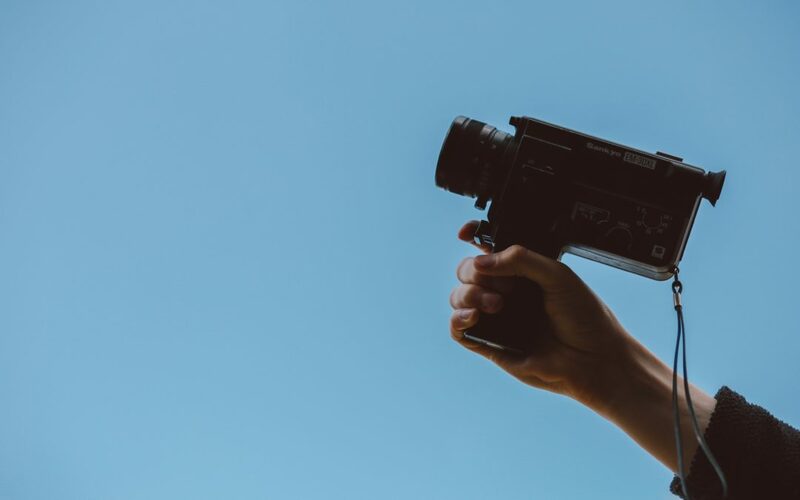 We take a look at the latest trends in video marketing and see if the medium is all hype or effective. Parham Azimi, CEO of Cantemo gives us his insights. The average consumer would find it hard to avoid watching some form of video in a day. The social media explosion has given us a platform where billions of people can get easy access to free video distributions. Cisco predicts that 82% of internet traffic will come from video by 2021. Amateurs do much of the video content we see for different reasons. A growing number can be linked to video marketing. Social Media Examiner shared a report that shows 60% of marketers use video with 73% of them planning to increase their use of the format. One of the most significant trends is that companies are now starting to build video marketing strategies. Tactics are now being formed to take advantage of social media as a means to promote video content. It does not come as a surprise that more brands are beginning to produce videos because 73% of marketers believe that video impacts ROI. By nature, videos are more engaging than static text and imaging. Social video gets 12 times more shares than text and images put together. The top two benefits of video marketing in social media are higher traffic and business awareness. 75% of internet marketers give positive reports from video regarding getting more traffic. We take a look at Buzzfeed’s Tasty Facebook page which has more than 93 million likes. The posts on this page are bird’s eye view videos of meals and snacks made by an unknown chef. The most watched video is a 1.44-minute video called ‘sliders four ways.’ which shows four recipes for tray cooked burgers. This video has been viewed 203 million times, has 5.5 million shares, 1.4 million interactions, and 289,000 comments. If you think about recipes and cookbooks, only a few will read them for fun. Tasty took advantage of video to make these same topics engaging and lively. They are using the same video platform to promote other products like custom cookbooks and an induction cooktop. The company has hit the right spot when it comes to engaging consumers. They have separate pages that cater to different countries and cultures when it comes to cuisine. A page that offers healthier recipes was also added. Tasty videos are short and easy to follow. They also mastered the footage without sound tactic. The angle that they used for footage also gives the user the feeling that they are participating. These techniques have been proven effective with quantifiable results. We can expect an increase in competition for viewing time. There are new technologies that can be used to boost the effectivity of video marketing. Virtual reality, augmented reality and 360-degree videos are some of emerging tech that can be used to enhance current tactics. A new category has come up due to AR and VR tech called immersive video. This is going to get popular soon which makes the competition fierce among marketers. Ultra HD resolution is slowly becoming the standard although file sizes are still a challenge. A 360-degree video ad from Hong Kong Airlines has proven to be 35 times more effective than the same ad in the 2D version. The University of Sydney has also featured a 360-degree tour of the campus. This decision is based on the 20% international student population in the school. The travel industry is also reporting great success from VR and 360-degree marketing content. Allowing prospects to experience a destination before making a purchase increases the chance for more sales. Thomas Cook introduced VR videos to promote specific tours in ten of its New York offices. This resulted in a 190% increase in the promoted tours and 40% ROI.